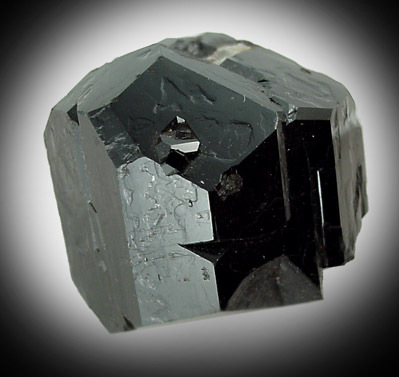 Description: Lustrous crystals of black dravite-uvite tourmaline with no matrix attached. 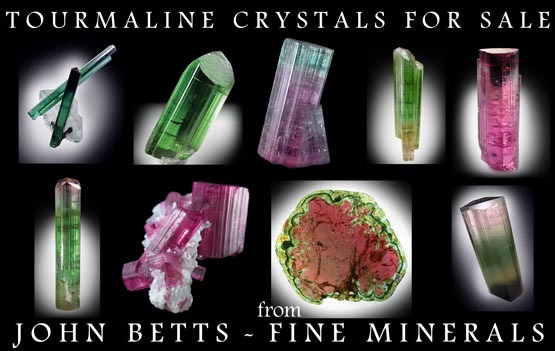 Naturally crystallized on all faces except where attached to matrix. With copy of original label. Ex. Westtown School (West Chester, Pa.) Collection no. 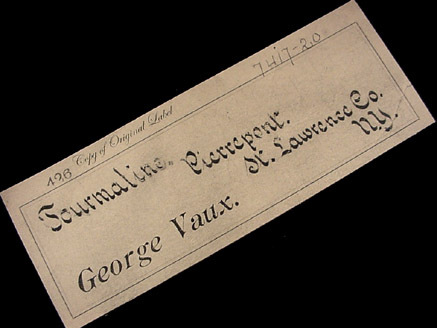 7417-20, donated by George Vaux (1863-1927).